Fogged Windows - Fogged Windows are a common sight when the weather cools down but they can be prevented. You can count on it. With the arrival of Fall and the rain, snow and cold weather it inevitably brings, cars and trucks with their windshields windows obscured by fog or frost on the inside become a common sight. It doesn’t have to happen. Fog can form on the inside of car windows from many sources but they all come down to one thing – the relatively warm air inside the vehicle becomes very humid and the moisture in the air turns to fog or frost when it comes in contact with the colder inside surface of the glass. 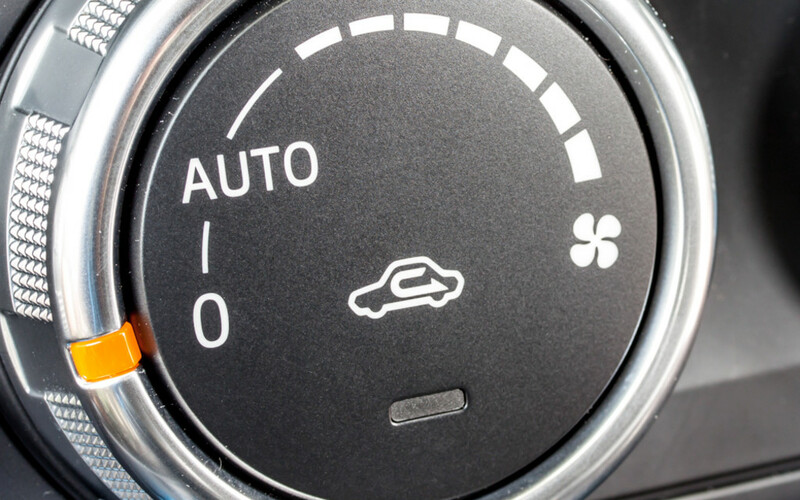 Of course, the Defrost mode on your climate control system is designed specifically to remove such deposits. But its work is made more difficult and its progress delayed by another button or switch found in most vehicles: the Recirculation, or "Recirc" control. Recirc Control - Leaving the Recirc control on after initial warmup can cause fogging on the inside of the glass from occupants breath and other moisture sources in the vehicle. Its purpose is to isolate the interior when driving through extremely dusty or otherwise unhealthy or unpleasant external environments, as well as help accelerate warmup of the interior in winter or cooling down in summer. It does so by closing off the intake of fresh outside air to the heater and A/C system so that it draws air only from inside. In that way, as the inside air begins to warm up, the heater has warmer air going into it and even warmer air going out. In air-conditioning season, the effect is exactly the reverse: it takes in only inside air that has already been partially cooled, helping the car cool down even quicker. The problem with leaving Recirc on is that when people inside the car breathe, the air they exhale is very high in moisture content. That’s why we can see our breath when it's cold. So, with no fresh air coming in to dilute it, the air inside becomes more and more saturated with water vapour – which turns to fog or frost when it reaches the colder window glass. The more people there are in the vehicle, the more serious this issue becomes. It’s exacerbated by the introduction of other sources of moisture in the vehicle, such as snow on clothing and boots. But it's a problem that's easily resolved. Just turn off the "Recirc" switch as soon as your vehicle begins to warm. Better yet, leave it off altogether and live with a slightly slower warmup as in return for clearer windows.